My book examines how and why East Asia is so often associated with technology and futurity in contemporary Hollywood film. Examples I discuss include the dystopic cities of Blade Runner, Black Rain, and The Matrix; the self-orientalizing performances of Asian-American actors, Gedde Watanabe and Pat Morita; and the martial arts action sequences in the Rush Hour series, Ghost Dog, Kill Bill, and Batman Begins. I argue that such allusions to the “Far East” crystallize multiple cultures, histories, and aesthetics into a few easily recognizable tropes. I call the process and product of this reduction “oriental style” – a term that extends Edward Said’s model of Orientalism by shifting the temporal and geographical contexts of his now classic study to look at US media depictions of East Asia. 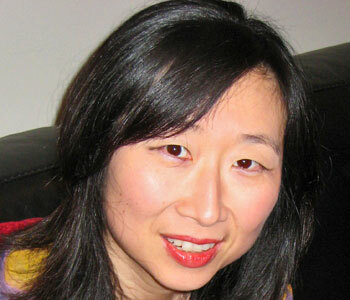 This concept also illuminates aspects of Orientalism that have been relatively under-theorized, including fascination with Asia by set designers, choreographers, and Hollywood actors; the strategic complicity of East Asian and Asian American performers in the construction of authentic “Asianness;” and the multilateral networks of exchange through which American, Japanese, and Chinese popular media come to coincide. Perhaps the most unique aspect of Yellow Future is my attempt to show how oriental style structures the stories of films that, at first glance, seem to have nothing to do with Asia or racial difference. Moving between production studies and narrative analysis, I trace how various technologies and futuristic dystopias become conflated with Asian cities, faces, foods, and fighting styles through editing techniques, mise-en-scène, and allusions to other movies. In the process, I link the quiet cultural semantics of films like Blade Runner and The Matrix to their more visible moral dramas, showing that the play of oriental style can be indispensable to what counts as gritty, futuristic, or just exciting. 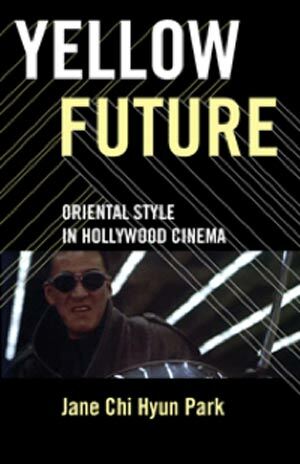 As a result, my book is one of the few studies of cinema in ethnic studies that foregrounds aesthetic and institutional elements – including genre, narrative, production design, and performance – while teasing out the more unexpected ways in which these elements, often through their very ambiguities, reproduce dominant ideas about East Asia in the popular imagination. While some inroads have been made, most Hollywood films continue to privilege the emotional development of white, middle-class characters. For this reason, I think it’s important to interrogate how that norm is sustained through collective fantasies about East Asia, especially since such films – from The Karate Kid to Kung Fu Panda – still set the terms through which Asian identities are made intelligible to Hollywood audiences.